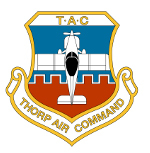 Thorp Air Command - T18.net • View topic - IFR path suggestions? Post subject: IFR path suggestions? After 26 years of flying (10 as a working pilot) I find myself getting serious about becoming rated for IFR flight. There is a local CFII but the closest IFR trainer to rent is a 2 hour drive away. Most posts I have read on the subject here suggest the Thorp isn’t the most likely candidate for instrument flight instruction. In addition to the Thorp, I also have a VFR Cessna 150 project that is nearing completion (I hope). Would it be feasible or worthwhile to buy some used equipment and make the C-150 an instrument trainer? It would need everything. The only installed radio is the original 1969 nav/com and I will be surprised if it works. Post subject: Re: IFR path suggestions? I think I would try and find a plane with the avionics already installed, buy it, and sell it after you get your instrument rating. I would think you would come out time and money ahead this way. It took a long time to make, but Marilyn, my wife is now a CFII. I learned a lot about avionics and aircraft wiring too. You do not have to buy an STC'd panel. You do need an IA to sign off the installation and make appropriate log entries. Converting your T-18 to IFR capable is going to be easier, you don't need a IA sign-off...and I find working on it to be more fun than working on Cessnas. Marilyn says: All of your IFR training is done under the hood in VFR conditions, so you may as well start out in the T-18 and see how it goes. Good to learn in but wouldn't want to do hard or long IFR in it without autopilot. Nothing wrong with doing the training in your Thorp. I would have an autopilot tho. The only problem might be getting a DAR to check you in it. I think Ryan’s idea is probably the cheapest and most expedient. Thanks for the thoughts guys. I fear my Thorp would need a little too much to be a practical candidate. No vacuum system, nav radios or interior lighting. Maybe the G5 is a legal replacement for the vacuum system instruments. I haven’t looked into it but I don’t know how practice failures could be done so it’s probably out for training. From an initial standpoint, the 150 is a much better candidate with standard flight instruments and a heated pitot tube. Assuming what is already there works, I think all it needs is a transponder, localizer and a GPS. I can do the installations. Anything I thought worth keeping could be moved to the Thorp when finished with the 150. That doesn’t make it the best path though. I haven’t priced airplanes lately but I think it is pretty reasonable to expect to pay $30k plus for any IFR bird and the money tree growing in the backyard has been picked clean. I would need to sell the 150 and one other airplane. Selling the 150 isn’t a problem since I never wanted it anyway but I am not quite ready to give up the Thorp or the L-4 (although, on a good day, the L-4 might cover the cost of an instrument trainer by itself). Probably cheaper to sit in the back of SWA and let Cubes worry about the IFR stuff ! I do miss flying IFR as long as it was equipped with at least 2 turbo fan jet engines . Actually, I have no desire to fly IFR. It would be handy on marginal days or to get through a layer but I like to look around when I fly. The goal is CFI. I have a lot of people asking me for tailwheel endorsements and some general instruction but the FAA in their infinite wisdom think it is necessary for a VFR instructor to be IFR qualified. The local CFII doesn’t have a very open schedule because of his full time gig as a corporate pilot. It may just be best to take a week or so and attend one of the condensed courses offered around the country.